The 2016 limits for the 403b Plan are $18,000 for employees under age 50 and $24,000 for employees age 50 and older. For more information regarding the 403b plan, please visit http://www.siue.edu/humanresources/benefits/retirement/403b.shtml. Below is the upcoming schedule which includes when and where the vendors will be on campus. To set up an appointment, please email or call the vendor at the contact information below. If you have any other questions, please contact us. We are pleased to announce that 2015 1095-C’s are ready and available on-line through CougarNet (Banner Self Service)! Remember, the 1095-C is the new Insurance Coverage form employers are required to prepare for eligible employees. If you have already signed up to receive your 1095-C on-line you may log in to CougarNet, view and print your 1095-C for 2015. Per ITS, the system responds differently depending on the internet browser you use. Select W-2 and Electronic W-2 Consent. Check the box next to I consent to receive 1095-C electronically: and click Submit. Once/If consent has been given. Select 1095 Employer-Provided Health Insurance Offer and Coverage Statement. Select Tax Year: 2015 and click Display. Select the Printable 1095-C button at the bottom of the screen to print your 1095-C.
Review Help Text (top right corner) for information about the data on the 1095-C. If you have not previously done so, please click OK when asked to provide your consent. Eligible employees who have not elected for on-line 1095-C delivery by Friday, March 25, 2016 will have a paper copy mailed to their home address by the end of the month. Please remember the electronic 1095-C is offered as part of the university’s effort to go green and cut costs. 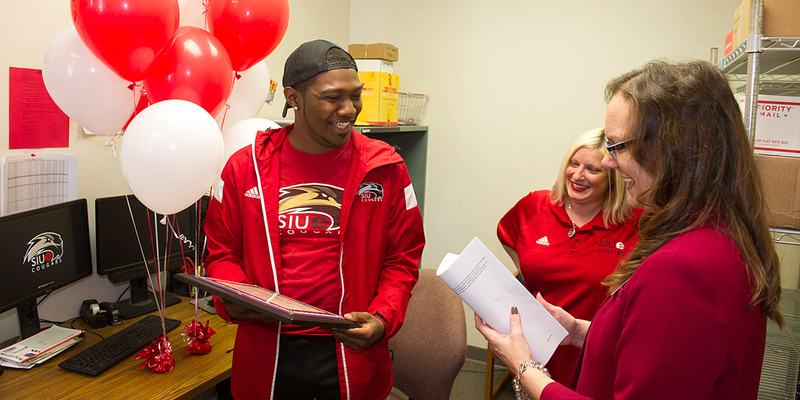 Additional information is available through FAQ’s at http://www.siue.edu/humanresources/faq.shtml.